You need to be a Seeker of Ancient Indian Yoga to add comments! The Sermon on the Mount represents the essence of both Christ's teachings and the teachings of Vedanta. Christ said, "Blessed are the pure in heart, for they shall see God." "The kingdom of God is within." "Be ye perfect..." Theologians are apt to explain away these teachings, but we believe Christ meant what he said. Read in this book how Vedanta goes to the heart of Christ's teachings. Thank you for guiding me over to this great group. Not into administrating groups, however, I will focus on adding new discussions or replies in the next few days. Hey all this group is missing an administrator to keep it active. Who is willing to take it upon themselves? I have been practicing traditional Ashtanga Yoga and Pranayama for more than 25 years, and I have found it to be truly an alchemical experience in which my perfected physical and subtle bodies are unfolded again again again... The last three years I have added an Alchemical Diet to my practice. I consume only very small amounts of highly concentrated superfoods, ie Shilajit, Elk Antler Fluff, and chlorella, That with Miso and a piece of fresh local fruit in season is pretty much it. I am working towards eliminating solid food altogether eventually. With this diet my yoga is soaring, my dreaming is lucid, I am making good decisions and manifesting in the worldly existence. This human body is the New Jerusalem! We can ascend and transcend if we put aside the nostalgia of belief systems that dictate how a human "should " eat. Does anyone practice kundalini yoga? I just started and i find it hard, not physically, but it makes me dizzy and actually somewhat nauseous at times. is that something one gets used to with all the fire breathing, or do I need to ground myself more? 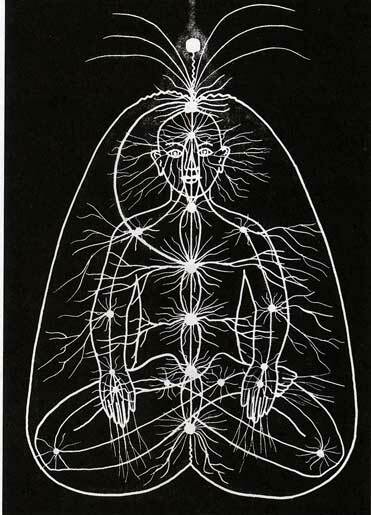 I work a lot with the kundalini energies and the chakras are all open. I used to practice yoga only as a physical exercise,but now I discovered deeper levels which transformed everything in and out.Mantras visualisation,breathing,etc. I would love to explore this science for the rest of my life!And be able to learn from your wisdom! sir,being a south Indian i would like to know where that temple is.